Susan Enriquez will host QTV11 show Sus Naman! May Solusyon Yan! Susan Enriquez will host Q Channel 11’s new public service program titled Sus Naman! May Solusyon Yan! Its pilot episode airs this Thursday, April 8. 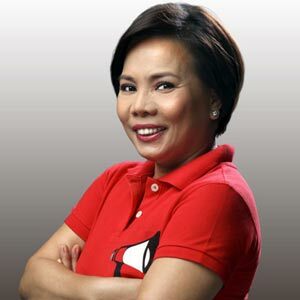 News and public affairs personality Susan Enriquez joins Q Channel 11’s roster of talents with the premiere of Sus Naman! May Solusyon Yan! this Thursday, April 8, 10 pm. Sus Naman! is a 30-minute public service program that aims to hear out and eventually help solve the problems of everyday Pinoys. The program also aims to give credit to concerned agencies when complaints are addressed and solved, and to individuals who do what’s right. With Susan Enriquez’s trademark wit, the show promises to be an engaging way to help Pinoys find solutions to problems in their barangays. Each week, Sus Naman! will feature a specific problem of the common tao—for example, a noisy videoke bar in a residential area or a group of taxicabs who refuse to use their meters—and will then help find the proper course of action. The show will document how the problem was solved and give credit where it is due. The problem-solving does not end there. Sus Naman! will even go a step further through follow up segments of past or pending problems. An erring government agency might get a reminder—through scorecard messages like "Ano’ng pecha na? "—or the agency might get a commendation for a job well done through the "Kinarir Award." Individuals who make a difference in other people’s lives will also be featured. Sus Naman! brings the good news to Filipino viewers—that there are ways to face problems head-on and to work together to find a solution. Watch Sus Naman! May Solusyon Yan! on Q Channel 11 every Thursday, 10 pm, beginning April 8.